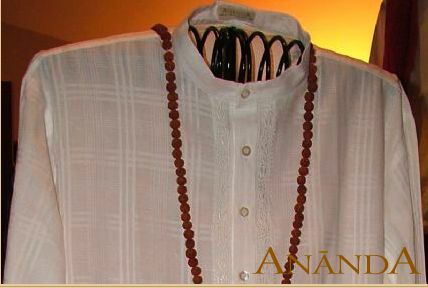 At Ananda guests wear what is called a Kurta. A sheer, gauzy, white cotton tunic top and pants set with a neru collar. I don’t know about you but I’m always at a loss for what to wear around the house. Sometimes a robe just doesn’t make you feel dressed and can be cumbersome. 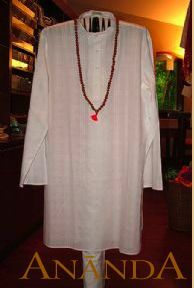 Kurtas make sumptuous lounging apparel and would even look smashing as hostess pajamas. And. . . The Boutique at Ananda sells them on their website. 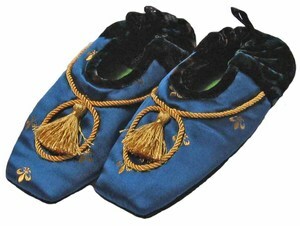 Now for those toes – these midnight blue Royal slippers from Goody Goody remind me of the decor and royal influences abundant in Ananda’s decor and treatments. They’ve got marshmellow soles to float you around your home! Royal by Goody Goody - Don't ya love the tassels? Stay tuned tomorrow for some ideas to bring Ananda ambiance to your dining room decor. If you missed our earlier posts on Ananda, check out our Feature Article & The DIY Hair Oil Conditioning Treatment how tos.